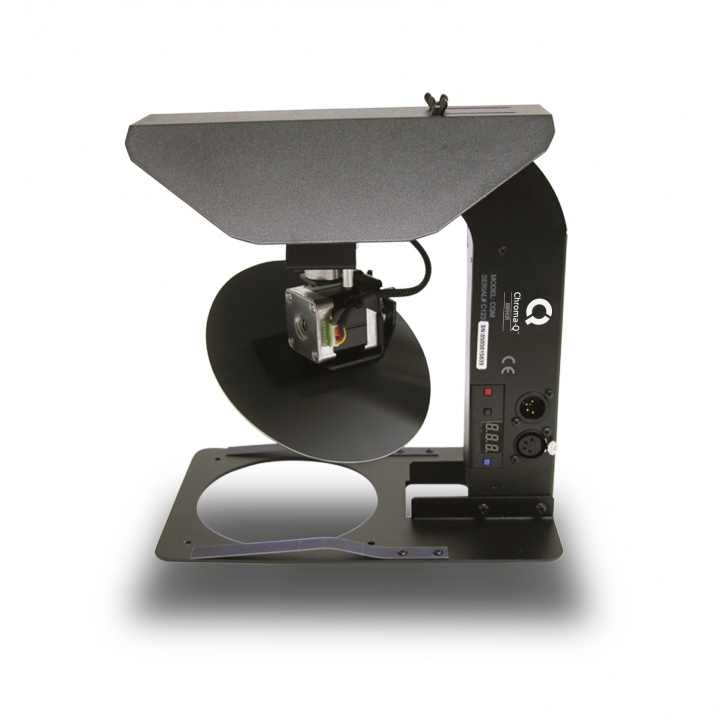 The Chroma-Q® Mirror is a DMX controlled motorised mirror attachment which mounts onto most standard medium and narrow beam profile fixtures and redirects its beam through a pan of 230° and a tilt of 57°. It's a cost-effective, space-saving option for illuminating multiple locations with a single fixture. It can also achieve many of the effects traditionally available only with intelligent moving lights. Requires additional power supply.